Having moved to a house recently from a little studio apartment-for-three (my husband, my cat, and myself) has left me with a lot more empty space than I currently know what to do with. 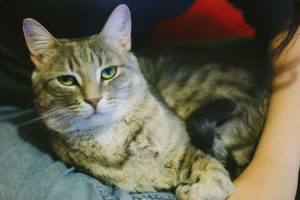 While my house cat, Avery, has been happy as a clam with the additional sprint space, I also know that the second I start think about human furnishings, if I haven’t got a scratching post or a cat tree up in the same room first, Avery’s probably going to start heavily clawing that furniture up. Not a nice thought, but it’s made me acutely aware of how I need to plan out cat furniture before I start bringing in human pieces I love. That being said – moving to a house doesn’t mean my budget is any bigger, and this has caused an enormous shift in my mindset. 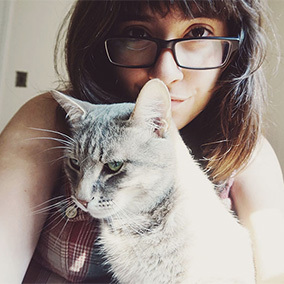 In our studio, I only wanted gorgeous, lifetime cat furniture that perfectly matched my human furniture (the Modkat Litter Box + my all-white Ikea furniture equaled purrfection), because let’s be honest, who wants to stare at ugly cat furniture in the single space they work, play, and sleep in. 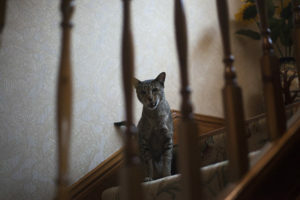 Now having so much empty space, I want something scratch related to be nearby – no matter where he is in the house. And obviously, while I’ve been obsessed with hyper-gorgeous luxury cat trees like the Refined Feline Lotus and the Sebastian Modern Tree for ages, there’s no way I could afford these expensive trees and towers in enough quantity to keep Avery distracted away from the human furniture – I’d break the bank in a second. So for now, my desire for modern, sleek, and made of real wood cat condos will have to be shelved; for the time being it’s budget, affordable, and inexpensive cat trees for me. Or well, maybe not just for now, maybe forever; because while the allure of minimalist cat towers is never going to fade, based on what I found rummaging through inexpensive cat towers – I’m ridiculously impressed. 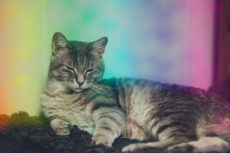 And I’ll be honest here – I actually think that while the cheaper options are not as eye-candy-esque for humans, in terms of feline attraction, they likely hit way closer to the mark. Anyway, here’s my current plan: for more well-loved rooms, like the living room, my office, and possibly the bedroom – where the furry one and I will spend most of our hours (he follows me around after all), I’ve begun to plan for grabbing bigger, more sturdy cat trees that are still affordable in terms of cost. I’ve bought a large Amazon Basics cat tree already that’s currently in my office, and have eyed a second large cat tree for the living room. 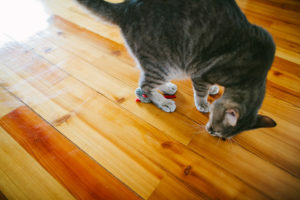 For lesser loved rooms, I’ll be placing either heavy-duty scratching posts, or smaller, more inexpensive trees which are cheaper in terms of overall cost. These will be perfect for Avery to run to in case he gets the itch to scratch and I’ll do my best to strategically place them in areas he’ll quickly be able to spot and get to. And if we really don’t spend much time in a room, I’ll move these smaller cat trees to places they’ll get more love – even possibly in extremely frequented hallways. I like having options, and with smaller trees, it’s way easier to move the cat furniture around. 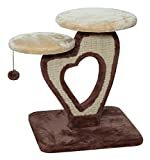 I’ve listed a bunch of inexpensive cat tree options here, both big ones and small I think are really worth the money. Please let me know if there are any cat trees, towers, or condos you would personally recommend (whether they’re on this list or not); because while everybody loves a good bargain, it’s also nice to know if the end result is as good as the cat tree looks online. Let’s start with the small, inexpensive end, then move on to the large, yet still affordable side of things. What lazy cat wouldn’t love this miniature cat tree? The perfect hammock, a little ball to to bat around, and plus two cat scratchers along the sides? I mean it’s awesome. Yet another I would buy if I could find it for an affordable price here, but I don’t think I can get my hands on FurHaven Products at all easily here in Portugal, so it and all their other really great options are not really viable for me. I think this cat tree is crazy good value, and one I feel no cat could resist lounging around in. I think my Avery would personally prefer that little seat at the front over the secluded rounded area at the top, but no matter which type of space your cat prefers sitting in, I think this small cat tree will be the perfect fit. Love that scratcher in the front, too. I’m not sure why but I feel cats like having a variety of different sizes and shapes to scratch on, and since this one’s a thinner version of a regular scratch post, I think it’s an interesting, yet familiar twist my cat would definitely appreciate. 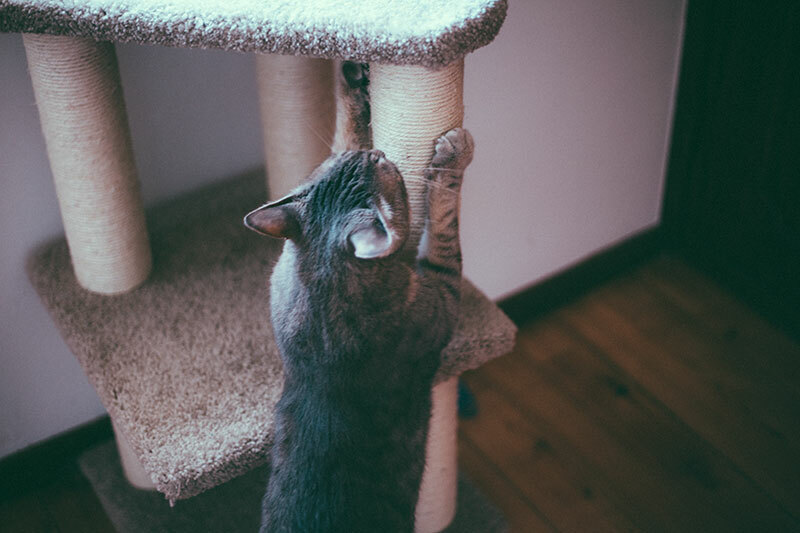 I spoke about this scratcher tree in my article about small cat trees that pack a lot of punch for their size – check that article out if you’re more or less looking for a cheap overall cost, but want a few more interesting options besides the small trees I’ve listed here. As I said there, I think the concept of this tree is super adorable, and since the bottom section is like having a built in cat toy box, I think it essentially doubles as a great home alone cat toy. If I can find one for an affordable price here in Portugal, I’ll be adding it to my cart in a second, but so far, I haven’t found it at a reasonable price. 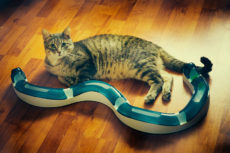 I did manage to find the Trixie Inca Cat Wave Scratcher for an affordable price here, though, so that’s already in my cart waiting for checkout. 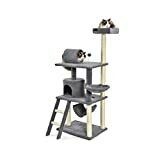 Found this cat tree while looking up products for my article on grey cat trees and had to come back and share it here. I can’t believe how good value it is, and while I genuinely thought it would be a sub-par product due to how cheap, yet high and narrow it is, it seems that according to quite a number of reviewers, it doesn’t actually do too bad in the sturdiness department. 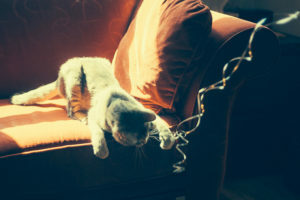 Obviously, it’s not the type of cat tree you should have if you have a very large, very aggressive, or overweight cat, as reviewers have also pointed out, but for the average cat, it should be just fine. Again, for what you get, I think it’s crazy value. I’m not the biggest fan of this mini cat condo aesthetically, but I know Avery would get good use out of it. He loves sitting on little chairs and this is two perfectly carpeted round ones; I’m sure he’d love taking naps on them! 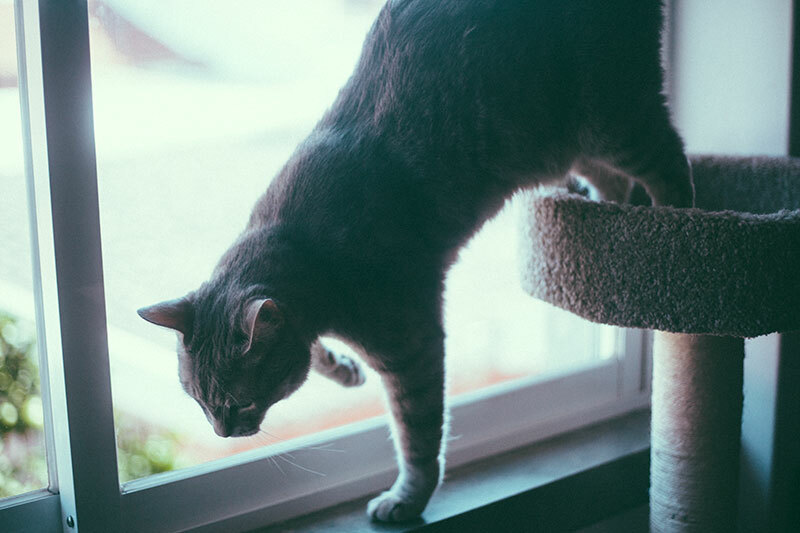 If you need something more sturdy than the regular cat tree, say because your cat is crazy about his jumps and a little more aggressive than normal (*cough* like mine) or is a little taller or heavier than the average cat, and hates jumping onto scratchers that aren’t sturdy, this and other “step” style cat trees are a great option. I think this tree is also really good for multi-cat households. I absolutely think two (or maybe even more!) cats could nap on this thing comfortably, and since the two sections are divided so well – without getting in each other’s way. Just want something a bit more plain-and-simple so it can match more modern furniture, but still be affordable and really attractive to cats? The Valencia cat tree is where it’s at. Two platforms, a dangle ball toy, and what looks like the perfect cat house/hiding spot; hard to find anything better at that low price. Yup, I’m 100% obsessed with cute, quirky little scratchers and that’s why this one had to make the list. But I mean, this is a cat house, a cat tree, a cat scratcher, and a ball toy all combined into one. In terms of bang-for-buck value when it comes to many of their products, I feel Trixie really knows what they’re doing. Hard to imagine a more alluring small cat tree for the inexpensive price. There aren’t all that many small, inexpensive cat trees that have hammocks on them in general. Besides this one, the only other that immediately comes to mind is the actually quite popular Trixie Original Baza. But even though it has an awesome hammock on it, it’s a full surround hammock rather than a hanging one, so it’s quite different from this EliteField cat tree. Know of any more affordable cat trees with hammocks on them that I missed out seeing? Let me know in the comments! Edit 03/12/19 – I’m biased. I love this tree because I have it, and Avery has used it so much over the past few months compared to the other cat tree we’ve bought him, it made me realize how exceptional a purchase it is. With our new, second cat, Bjorn – well he’s a teeny tiny fella, so getting up to and sitting atop the other cat tree is not really a big deal for him at all. With Avery, who is really tall and thus quite a large cat, the lack of sturdiness truly bothers him, as the other tree shakes when he uses it. Not the Amazon Basics Tree – somehow at such a low price point, Amazon’s managed to provide a tree even Avery’s happy to climb to the top of 2-3 times a day for his naps. I’ve also seen each and every level of this tree be used by both Avery and Bjorn. It’s just been fantastic. Zero complaints, have even entertained buying a second. I love this cat tree. I think it’s one of the best currently around if you’re looking for something inexpensive, but also want a big, engaging tree that’ll be a good standalone product so you don’t have to buy multiples for the room. I honestly think this could be the only cat furniture in a 1-2 bedroom apartment and for even up to two or three cats, it would be completely fine. Such great value, and in case you’re trying to match cat furniture to your own furniture, doesn’t look too shabby since it’s quite minimalist. I also think the beige goes well with pretty much everything. I’ve spoken about how great value floor-to-ceiling cat trees are a number of times before. While not everyone will be okay drilling holes into their floors or ceilings, if you are happy to do so, and especially if you’re tight on space, I think they’re probably the best option you could take advantage of. Need some more to look through? Check out what I think are some of the best floor-to-ceiling tree options here. Like the idea of saving on space, but don’t want any drilling going on? Check out my article on narrow, tall cat trees for small spaces. Based on my experience with the Amazon Basics cat tree I bought Avery, I wouldn’t hesitate to buy one from their line again. 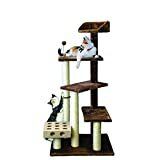 They released quite a number of cat trees a few months after I bought this one (though they’re still not available in my local Amazon), and the new ones look way cooler and more fun. Definitely don’t regret getting the most basic type, however, as I feel it aesthetically is pretty damn nice to look at, and will go nicely in any room. I think part of what makes any cat tree more interesting, both visually and for cats to enjoy, is that there are multiple features incorporated into it. This one features quite a lot – one large cat home/hide, one cylinder seat, a hanging hammock, a surround hammock, a perch at the top – what more could you want? I feel like it’d be so easy to test which features your cat will and won’t like to use with just one of these things. I’ve mentioned the FurHaven Double Decker Playground a lot, but it’s – again – because I think it’s really good value for the price it’s at. A lot of the cat trees that are roughly the same size are double or triple its price, so it’s hard for me to recommend them over it, even if I’m not doing lists on cheap or affordable cat trees. I think you should always factor price into the equation, so it appears on ever-so-many of my lists. Sick of seeing FurHaven products yet? 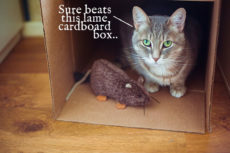 If they weren’t so stinkin’ good value I’d stop with using them for recommendations, but I mean, a cat tree that size, with that many steps, a toy box, and a sleeping spot at the top – it’s hard to compete on value. No, it’s not cheap, but considering how massive this thing is, I’d consider it pretty stinkin’ affordable bang-for-buck. I mean come on – this thing can easily fit like 5 cats with no squabbles between them. Nuts! One last note, I do also recommend Go Pet Club a lot. It’s yet another company that just seems to hit the mark really often when it comes to straight up value and affordability for the kind of product you get. 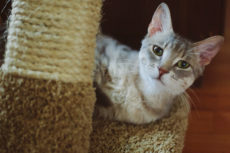 I think in this list, Trixie’s probably best when it comes to smaller cat trees, but FurHaven and Go Pet Club have the lead neck-and-neck when it comes to larger ones. So many options, so many varieties, it was hard to pick specific ones to recommend, but it works because if you’re looking for something in particular, you’ll almost certainly find it in their offerings. 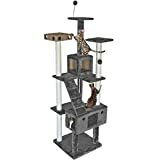 Your Thoughts on Inexpensive Cat Trees? 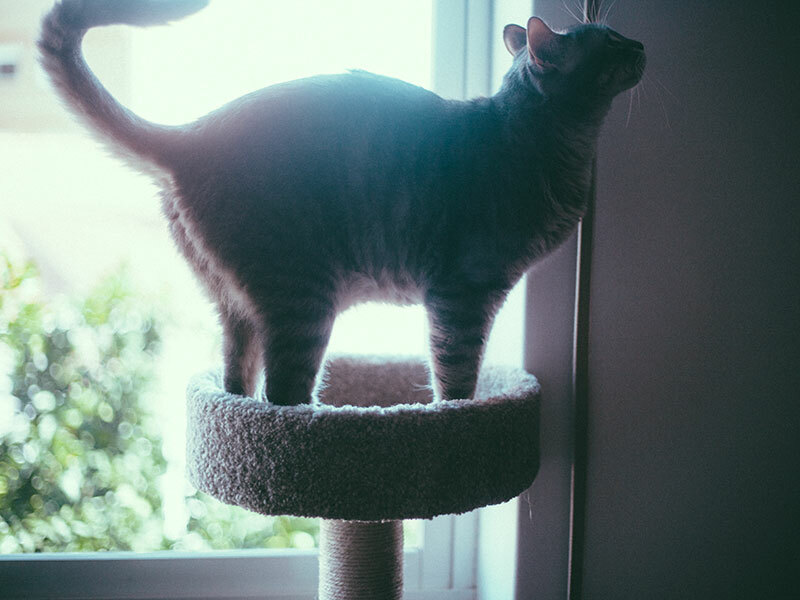 What types of cat trees do you have in your home? Are they mostly large or small? Do they have many features? How many of each do you have? 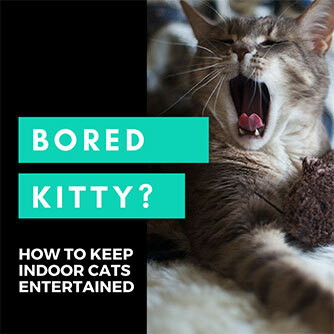 Which do you feel your cats prefer? If you had to choose between grabbing a few smaller cat trees or one larger one, which would you choose and why? 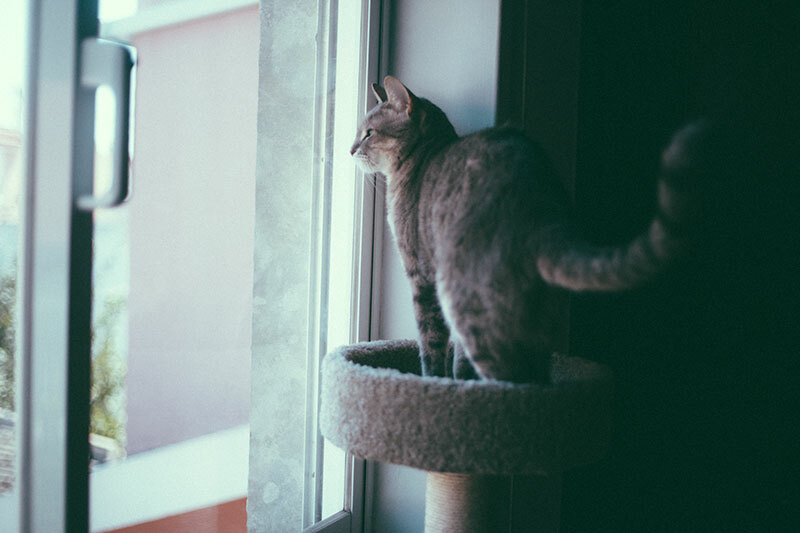 Did the cost of the cat trees you have in your home play a major role in helping you determine which cat tree to get? Do you lean more toward affordability or durability? Having been on both ends of the mindset spectrum, I can see why different situations would lend themselves to favoring affordability over durability or vice versa. Looking forward to hearing your thoughts in the comments down below! Thank you for recommending the AmazonBasics cat tower! I ordered the taller version for my cat Shark and it just arrived yesterday. I assembled it and swapped out his short and wobbly cat tower for this one which is much more tall and sturdy. After some initial exploration he can’t get enough of it! He loves to climb up to the top bed and observe the entire room. While he is perched in his tower I like to slow blink at him from the couch and he will slow blink back. So cute! I know in one of your articles you mentioned that the taller version was too big for your cat Bjorn so I was worried that Shark wouldn’t like it since he is only 9 months old and still has a lot of growing to do. But he can climb it like nobody’s business! Absolutely! Always love sharing things I use myself and love! I’ve never tried this one against a wall, so maybe it would be fairly easy for Bjorn to get up to the top. 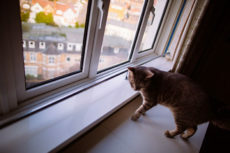 It’s just so much easier for him to hop from the window sill to the top, so he doesn’t bother to jump straight there ever. But I should test! Am so glad the tree worked out well for you 🙂 Shark will definitely be enjoying this tree into his adulthood, so exciting that he’s already climbing it to the top like a trooper! I’ll be honest; I don’t really like the carpet-look of most cat trees. But one’s made of other things are much, MUCH more expensive. 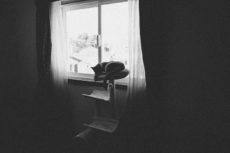 Which is why we pushed chairs and bureaus and tables and plant stands up to all of the windows, and built a wooden staircase for the cats to use. We are fortunate to have a home that allows such construction without causing too much harm to the walls and floors. Angel has countertops and piano benches, plus about six of my own sweaters AND coats draped on chairs for her napping delight. The house isn’t Martha Stewart-like in any way, but we and the cats are happy! I feel you on the carpet look, and I have a feeling Avery would be fine with human furniture for jumping and playing around on, but I also have a feeling any new cat we are hoping to bring in probably won’t be as kind to the soft furnishings as he has been (he’s been REALLY good), so I want them for the new cats we’re hoping to have as well as for him. I definitely think your way is much prettier, hands down. Maybe I’ll slowly move toward that type of look once I have the new cats and have trained them not to scratch up human furniture. 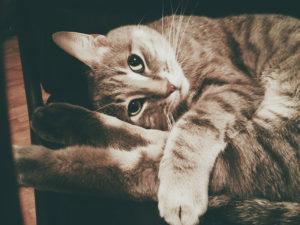 My Cat Bites, Then Licks Me: Why? What Does It Mean? My Cat Keeps Waking Me Up in the Morning. Why? What Can I Do?